The violin is thought to have belonged to bandmaster Wallace Hartley, who was among the disaster’s more than 1,500 victims. 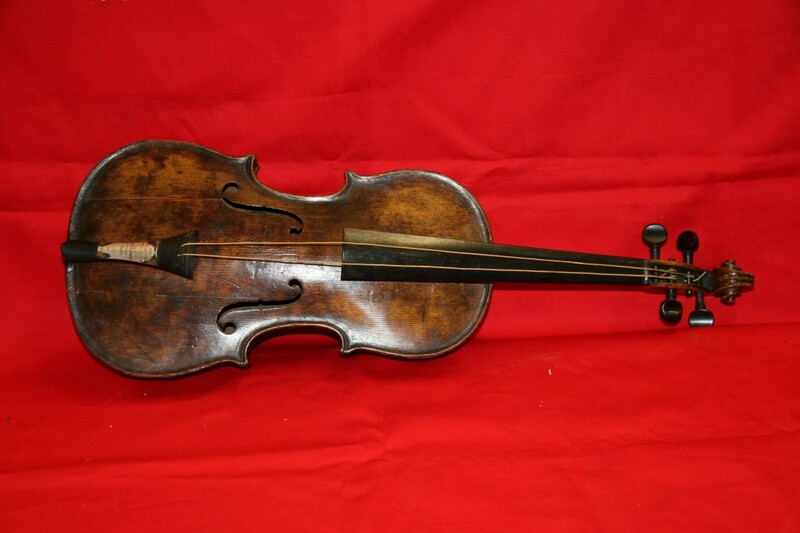 LONDON – A violin believed to have played on the Titanic before the doomed vessel sank was auctioned for more than $1.6 million Saturday, a fantastic figure that one collector said may never be beaten. The sea-corroded instrument, now unplayable, is thought to have belonged to bandmaster Wallace Hartley, who was among the disaster’s more than 1,500 victims. The story of Hartley’s band, which stoically continued playing on the ship’s deck until the disaster’s final hour, is a memorable part of James Cameron’s “Titanic,” when Hartley and his colleagues are seen playing “Nearer, My God, To Thee” as the passengers around them scream and drown in the icy water. The incredible story, and its heart-rending portrayal in one of the world’s most popular films, likely played a role in pushing the instrument’s price to 900,000 pounds, or past 1 million pounds when the buyer’s premium and tax are taken into account. “It’s a world record for a Titanic artifact,” said Peter Boyd-Smith, a Titanic memorabilia collector at the auction, hosted by Henry Aldridge and Son in the western England town of Devizes. “The only other items that are probably worth that kind of money are the items salvaged from RMS Titanic if they are ever put up for sale and those are in the exhibitions that go around America and Europe. The violin, with Hartley’s name on it, is believed to have been found at sea with the musician’s body more than a week after the Titanic sank. “Mr. Hartley and the band were very brave people … standing by their posts to the bitter end,” auctioneer Andrew Aldridge said ahead of the sale. Andrew Aldridge said the buyer, who bid over the phone, wished to remain anonymous.